Nestlé Cereals has devised a 10ft caterpillar made out of a selection of its whole grain cereal brands, including Shreddies, Cheerios and Nesquik. The ‘Cereal-pillar’ concept is designed to highlight to parents that a bowl of Nestle breakfast cereal provides children, particularly those who would prefer to eat creepy crawlies over their vegetables, with the vitamins and minerals they need. 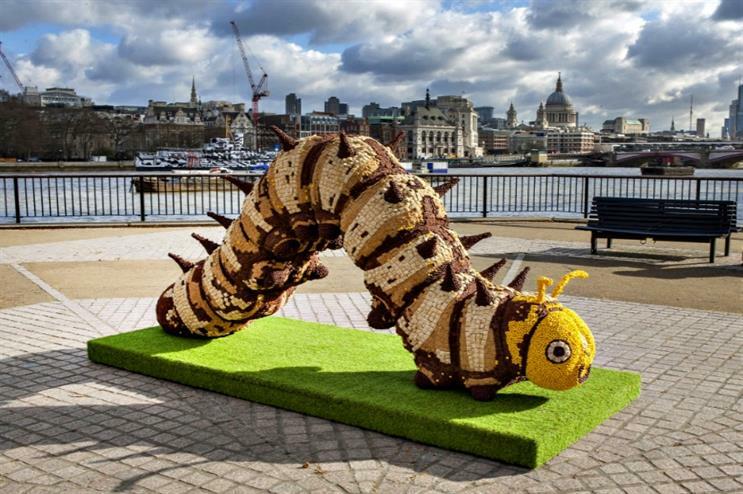 The Space and People Group has booked the cereal caterpillar, which is 1,522 times its normal size, to appear at Brighton Churchill Square tomorrow (2 April) at 9:00am. It is set to make its way around the country. Nestle Cereal is revealing the other locations the cereal caterpillar will be heading to on its UK Facebook page.